The System Overview panel is designed to facilitate the configuration and navigation through the various configurable options, enabling a more user-friendly interface by providing a centralized area on what RSFirewall! has to offer. Similarly to the RSFirewall! Cpanel Module, the System Overview area offers a general description of your site's security status, displays the latest messages from the System Log and your configured RSS Feeds. 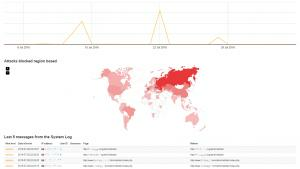 Besides this data you can also navigate to the other RSFirewall! tools: System Check, Database Check, System Logs, Firewall Configuration, Blacklist/Whitelist, Exceptions, RSS Feeds and Updates. 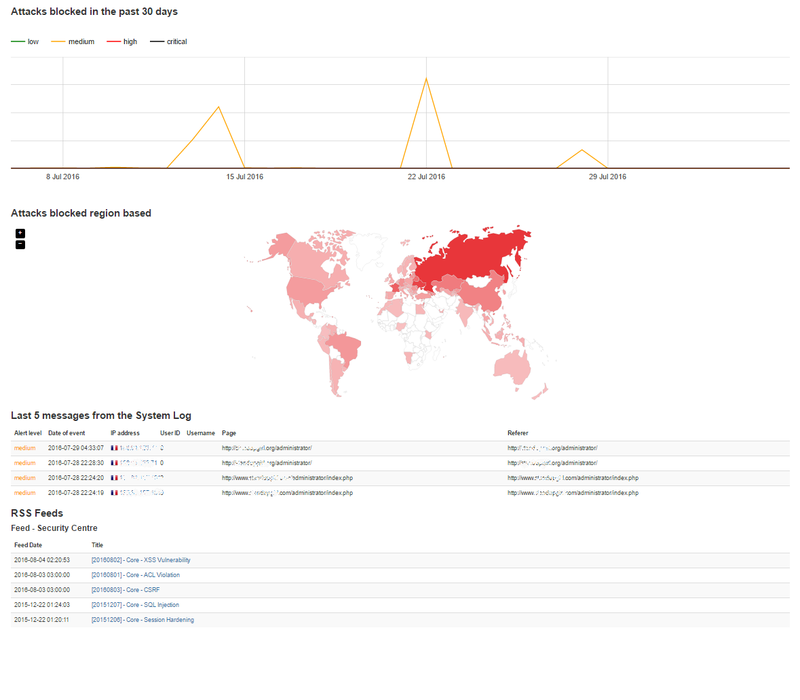 Note the addition of the "Attacks blocked this month" graph which displays the number of attacks recorded on a daily basis in the current month. A virtual map is added so you can have a granular perspective from where most attacks originate (this map requires that you load a specialized IP country database).